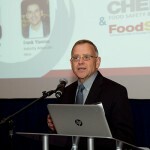 STOP Foodborne Illness honored three key individuals for their strong influence on keeping food safety top of mind. 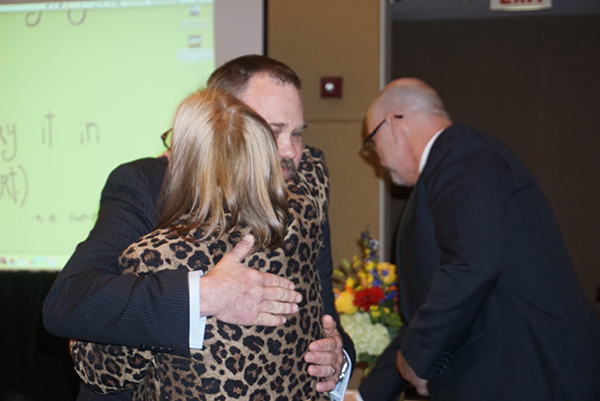 Last night STOP Foodborne Illness recognized food safety heroes for their dedication to food safety. The fundraiser was held during the 2016 Food Safety Consortium. 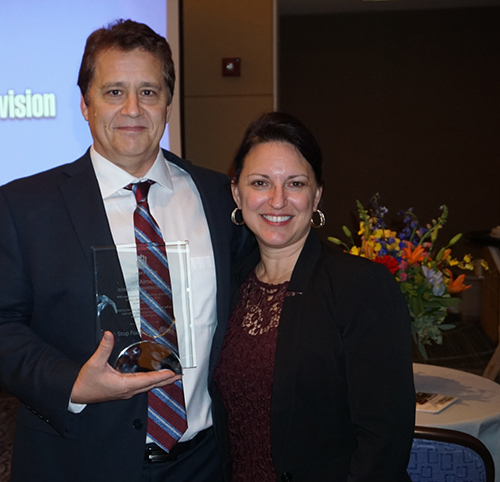 Jeff Almer received the Food Safety Hero award for his work in bringing attention to the Salmonella outbreak involving Peanut Corporation of America. The illness took the life of Almer’s mother. Almer received the award from Gina Kramer, executive director of Savour Food Safety International. 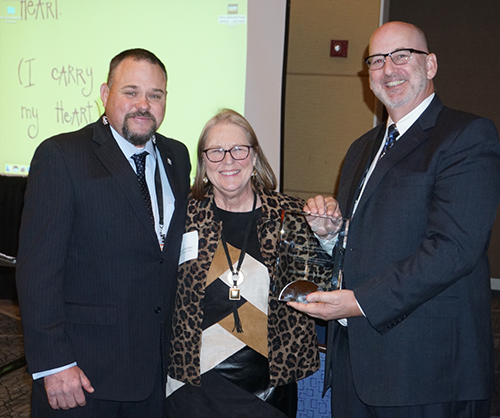 Dan Sutton (left) and Scott Horsfall (right) accepted the Food Safety Training Award on behalf of California Leafy Green Marketing Association from Deirdre Schlunegger (middle), CEO of STOP Foodborne Illness. 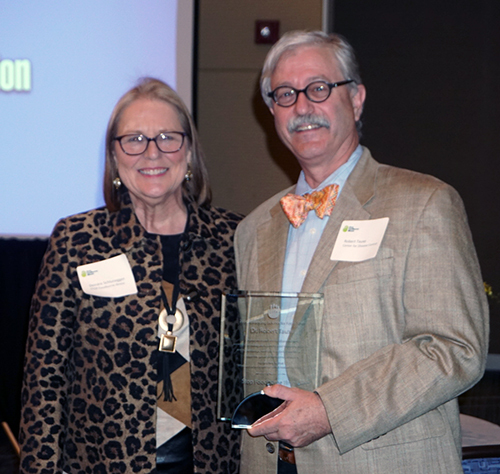 Robert Tauxe, M.D., MPH, deputy director of the CDC’s Division of Foodborne, Waterborne and Environmental Diseases at the National Center for Emerging and Zoonotic Infectious Diseases received the Advancing Science for Food Safety Award. 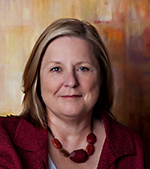 Recipients to be honored at the Food Safety Consortium next month. This year’s heroes have positively affected our food safety system.